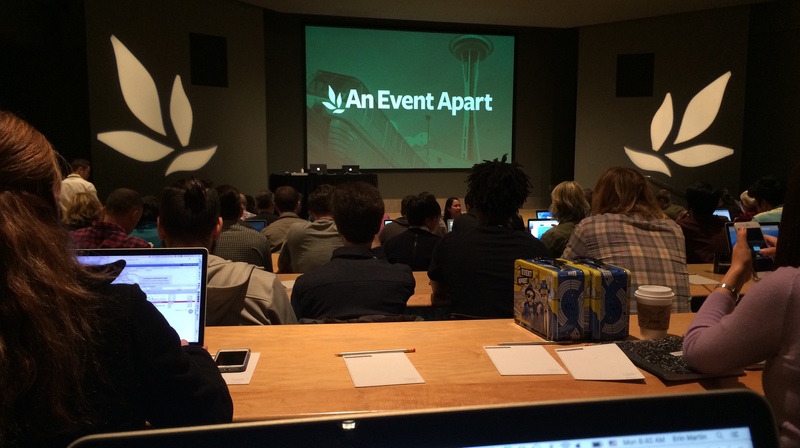 Thanks to a generous freelance client and some creative funding (i.e., my own money), I was able to attend An Event Apart in Seattle again this year. AEA is billed as a conference for “people who make websites” and continues to impress me. Working in higher ed means we are at least 3 to 5 years behind the curve, so this conference gives me a preview of issues to come and gives me tools, resources, and inspiration for for the road ahead. I like the fact that there aren’t sessions to choose from – I’m introduced to issues and topics that I normally wouldn’t give a second thought. Like animations, or CSS! Design begin with the product. what would they do if they were in charge of the website? talking to stakeholders also gets them on your side!being appreciated, taking them seriously, they will feel invested in what you create. Research (on other sites) allows us to identify patterns – and what’s working and what’s not. Also uncovers competitive advantages and reveals blindnesses and biases. Research also saves $ – reveals problems and ensures we solve the correct ones. Allows us to understand market and prioritize high value customers , reveal goals. Different ways of engaging with your customers leads to more engagement! This made me feel good: “Every website needs a lot of work.” Goals/audience are always evolving! Making the human connection is the real value of research. Define success – where are we headed? Data galore – Data doesn’t provide the answers, just helps us find and refine the questions. Metrics of engagement – now and 6 months from now. No other session made me more wistful than this. Oh, to have the advantages of a true designer working on our brand… Sarah discussed what designing brands (including personal brands) looks like in 2016 in a practical, doable way. Bring artistry back into design – no more waiting for permission to bring creativity back from big brands like Apple! I worry that if try anything different we could negatively affect user experience. Branding is the product of deliberate conception – an unexplained emotional connection. How do you stand out in a homogenized, blocky web? Research is great, but tends to be swayed by the most vocal people. Contradictions arise. Fonts in Use – where else are your fonts being used? Work with a copywriter on the design brief. 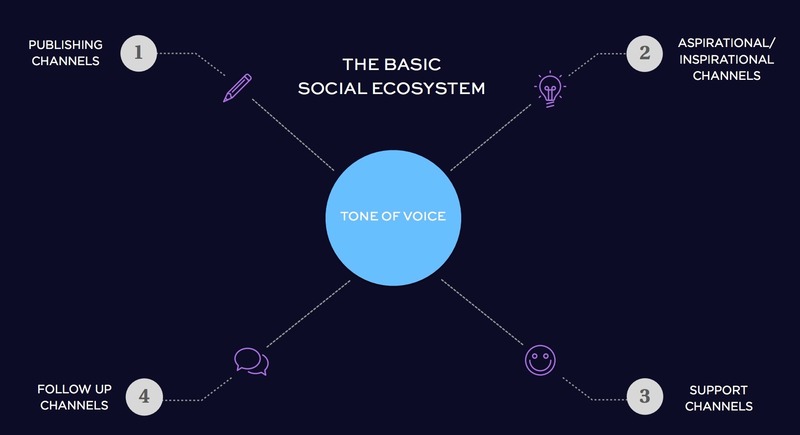 Voice and Tone is defined by the design and refined by copywriter. 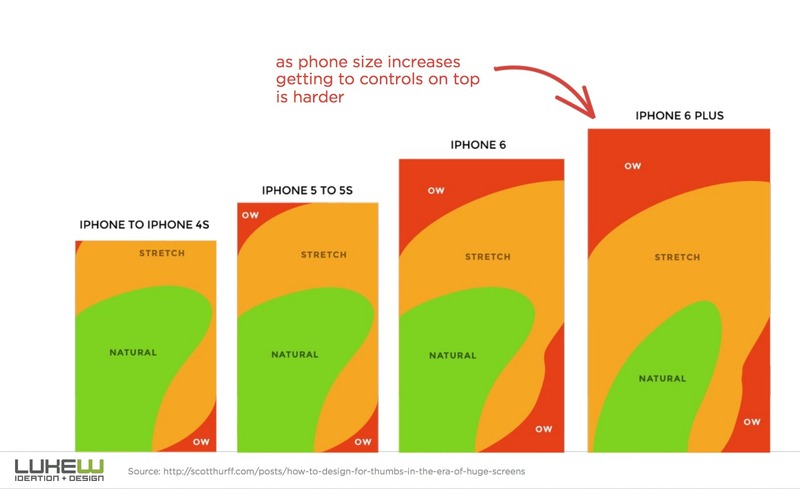 Dominant color pairs really have an impact on the web. With social – pick a lane – what makes the most sense for your brand? 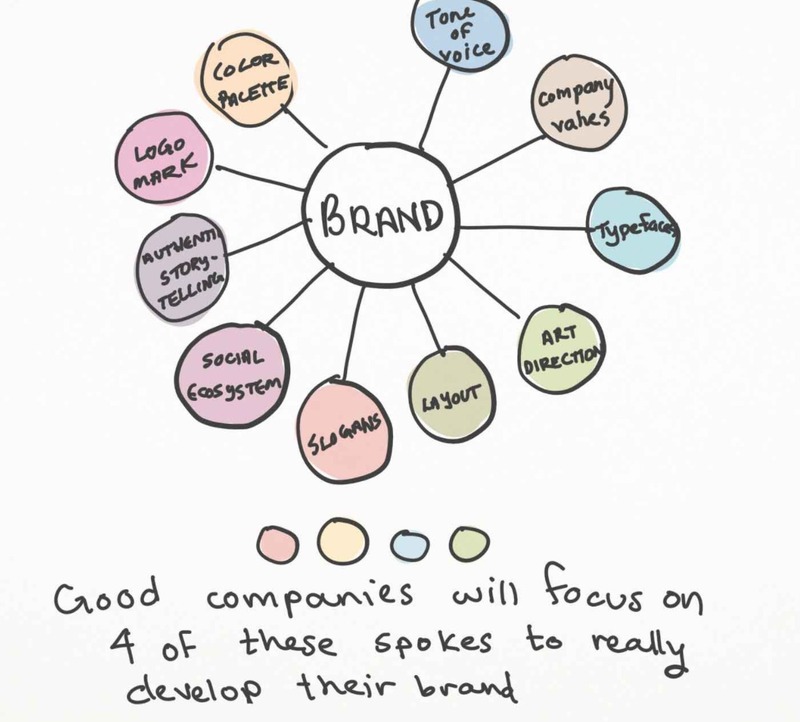 Company values – they are a story that can help you define your brand. In this sense, onboarding mens getting your users ready to use your product/site. Opportunities arise over time. There are diverse methods for onboarding and you can offer your users long term guidance. Familiarize -> Learn -> Convert – > Guide them = leads to daily engagement. Days 3 -7 most critical. 5 second test – what is this site about, what is it’s mission. Learn best by experience – experiencing something multiple times and modalities. Default experiences – starting to use the product, Strong IA. Inline guidance – weave information into content. Reactive guidance – happens when you trigger an action, signaled intent. Always looking for ways to make onboarding more accessible. Start at the end – unveil those key actions, what ppl need to know. Learn from your core users (sustainers) and your unsuccessful users. Why did they bail?